Tours of the highest standard and service experienced in a comfortable luxurious SUV with a flexible, friendly, fun approach. San Francisco is packed with rich history and beautiful vistas. A private tour gets closer to these sights and your guide provides local’s perspective. Immerse yourself in a 4-hour city tour highlighting all the popular spots as well as hidden gems for $400. 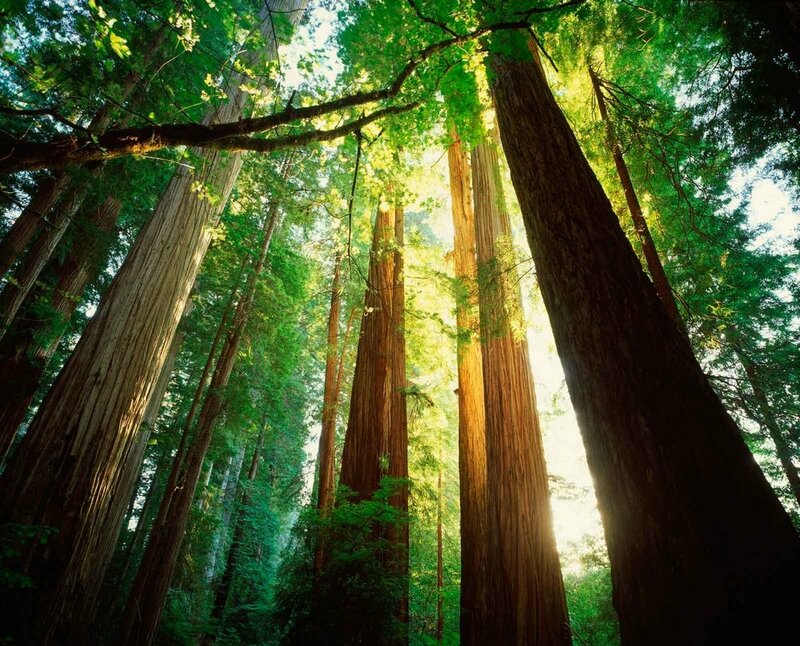 Add 2-3 more hours to the SF tour and visit Muir Woods and Sausalito for an additional $200. The SF Ultimate Combo is a great introduction to the Bay Areas best attractions. Visit Napa, Sonoma or both and experience some of the best wines in California. On the 8-9 hour tour, $700, you’ll decide if you want to explore the Pinot Noir of the Russian River Valley, the Carneros Chardonnay or the bold Cabs in Rutherford and more. Typically, we’ll visit 3-5 wineries and have time for lunch. You can add on a visit to Muir Woods as well. Yosemite is the ‘Crown Jewel’ of US National Parks. The long day, 13 hour at $1000, is worth every minute. You’ll learn the park’s history, be astonished by the Giant Sequoias and explore the Valley at your leisure checking out waterfalls and climbers clinging to granite walls. Multi-day tours available. Just north of San Francisco you can really get away for some tree therapy and a stroll through the quaint seaside town of Sausalito. You’ll determine how much of the 4 hours, $400, you’d like dedicate to nature or being a tourist checking out houseboats, souvenir shopping or enjoying a fine meal in town. Exploring the Marin Headlands or summiting Mt.Tam can be included. Approximately 120 miles south of San Francisco is the Monterey peninsula loaded with its own Fisherman’s Wharf, Cannery Row, picturesque 17-mile drive and the super cute village of Carmel. And just south of that is the best stretch of Hwy 1 California has to offer, Big Sur. Once again, with the help of your guide, you’ll choose where to dedicate most of your time on this 9-hour tour, $800. Create your own itinerary at the rate of $100 per hour. There are dozens of places in the area off-the-beaten path that are just as great to discover. From enjoying fresh oysters in Tomales Bay to stand-up paddle boarding Lake Tahoe, Eric’s VIP Tours can handle any request. Based on a recommendation from the concierge at The Four Seasons, my sister, daughter and I spent 3 fabulous days with Eric. We saw so much more than you could EVER do on your own. From San Francisco we went to Carmel, Monterey and Big Sur. Next day was the sights of SF, Sausalito, Muir Woods and then a drive along the coast north of the city before dropping us off in Sonoma. Our only mistake was using a different driver in Sonoma and Napa as that guy was a huge disappointment after Eric. Eric then picked us up in Sonoma, we did some more sight-seeing in SF, had an In N Out burger and he dropped us at airport. All of this for a very fair price! More importantly, we was knowledgeable, adapted to our needs and wants and great to be around! He made us laugh, played the music we liked and made a great trip even better!! After this experience, I may hire a driver/tour guide from now on. This was my 5th trip to SF and saw and learned more in 3 days than all of the other trips combined. Born in Poland, raised in Chicago, Marquette educated, Colorado experienced, world-traveled, San Francisco family anchored. Hope to learn your story too. All tours are executed in either a GMC Acadia Denali or Chevy Suburban. Both black, tinted windows, leather interior with captain seats middle row with a capacity of 6 passengers. Eric's VIP Tours is a fully licensed (TCP#35048) and commercially insured tour company. Tour duration begins from the time you are picked up till the time you are dropped off. Eric's VIP Tours assumes no responsibility for delays caused by breakdowns, traffic conditions, accidents and other conditions beyond our control. Eric's VIP Tours is not responsible for loss or damage of property. Prices subject to change. All vehicles are owned and operated by Eric's VIP Tours, but reserve the right, in some rare cases, to use other tour operators.